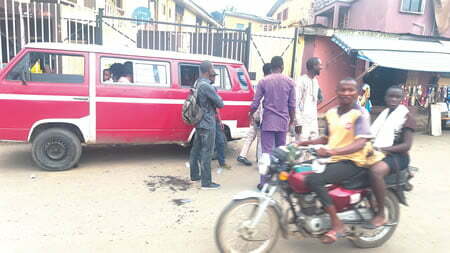 There was confusion in Ibadan, the Oyo State capital on Saturday after a wedding ceremony, which supposed to hold yesterday came to a dramatic end, when father of the bride suddenly called off the wedding of his daughter, Oluwaseun Adugbe to his fiancÃ©e, Tunji Curtis, a few hours to the commencement of the ceremony. 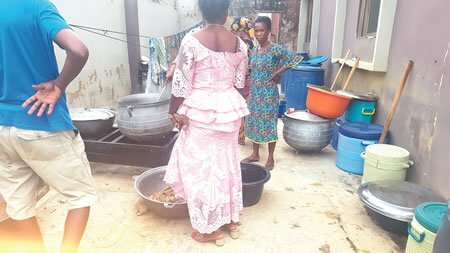 DAILY POST gathered on Sunday that the brideâ€™s father, Mr Adugbe, a native of Edo State was said to have announced that the wedding would no longer hold and directed her daughter to return all the things brought by the groomâ€™s family to them immediately without giving any reason. 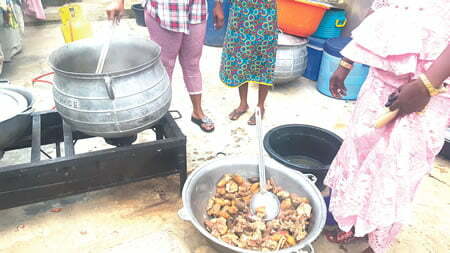 The wedding was supposed to hold at Mr. Adugbeâ€™s house located at Oshodi area, Felele Rab, Ibadan. 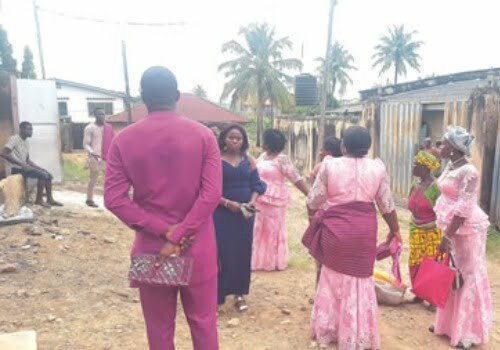 Members of the groomâ€™s family, who had arrived from Lagos in the early hours of Saturday, were said to have been left in shock and could not understand why the family of the bride would cancel their daughterâ€™s wedding without any prior notice. They were said to have been told that the wedding could no longer hold and that all preparations should be suspended. The father insisted that no marriage ceremony would hold in his house and that he would not be a party to the union. The bribe and the groom, DAILY POST learnt, have been dating for about five years and their relationship has produced a four-year child. When pressed by Tunjiâ€™s family for reasons for his would-be father-in-lawâ€™s actions, it was said he had accused Tunji of failing to honour a meeting with other members of the family on Friday, a development, which left them with no option than to cancel the wedding. Tunji arrived at his fiancÃ©eâ€™s family house on Friday evening without any information that his wedding would be called off the next day. According to him, he arrived in Ibadan on Friday morning and was asked by the brideâ€™s father to come for what he described as a crucial meeting with other members of the family, but failed to meet up with the 1p.m appointment due to other engagements. He claimed that he arrived late at his fiancÃ©eâ€™s house on Friday, but no one told him the wedding had been cancelled as preparations for the next day had begun. He claimed that he had no problem with his fiancÃ©eâ€™s father and could not understand why such a drastic action would be taken without his being informed. He added that his wife to-be could not explain the rationale behind her fatherâ€™s decision. He said â€œThis is shocking. I donâ€™t believe this is truly happening, because my wife and I had no issues at all and I canâ€™t remember having any issue with her father. In fact, I sent money to her father last week Thursday as part of my contributions towards the wedding,â€ he said. Tunji, who was almost moved to tears while speaking, said no one could explain to him what went wrong as things were still not cleared to him as of the time he was talking. â€œI asked my father in-law what went wrong; he told me that I failed to honour a meeting yesterday. I tried to explain to him that I was extremely busy making sure that everything was in place so that we could have a smooth celebration. His elder sister, Abibat said she was disappointed by the actions of the brideâ€™s family. Another member of the groom family, Olayinka Ogunbajo, who brought the wedding cake from Lagos, said the family members met the father of the bride on their arrival from Lagos with the cake, saying â€œthe father told us where we would keep the cake on Friday. He welcomed us heartily into his house and there was no reason for us to think otherwise. On getting here this morning, we were told that the wedding had been called off. I am speechlessâ€. Residents and other well-wishers who later learnt about the cancellation of the weeding said that they were also surprised to learn of the sudden change of mind of the bride father. However, all efforts made by DAILY POST to get reactions from either the bride or her father proved to be abortive as at the time of filling this report on Sunday.